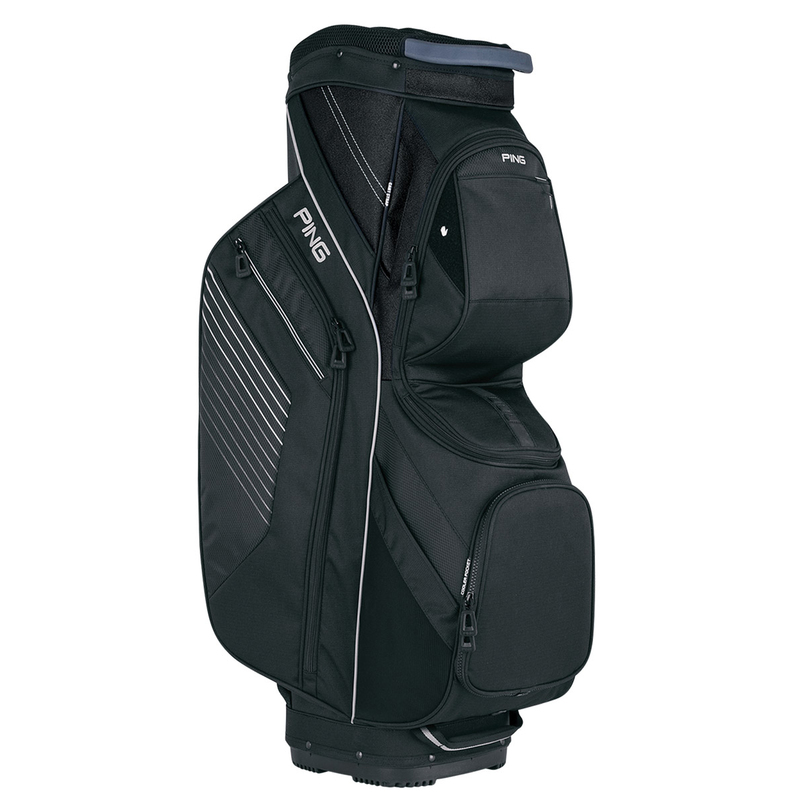 The all new designed PING Traverse golf bag simplifies your organisation into one lightweight package. 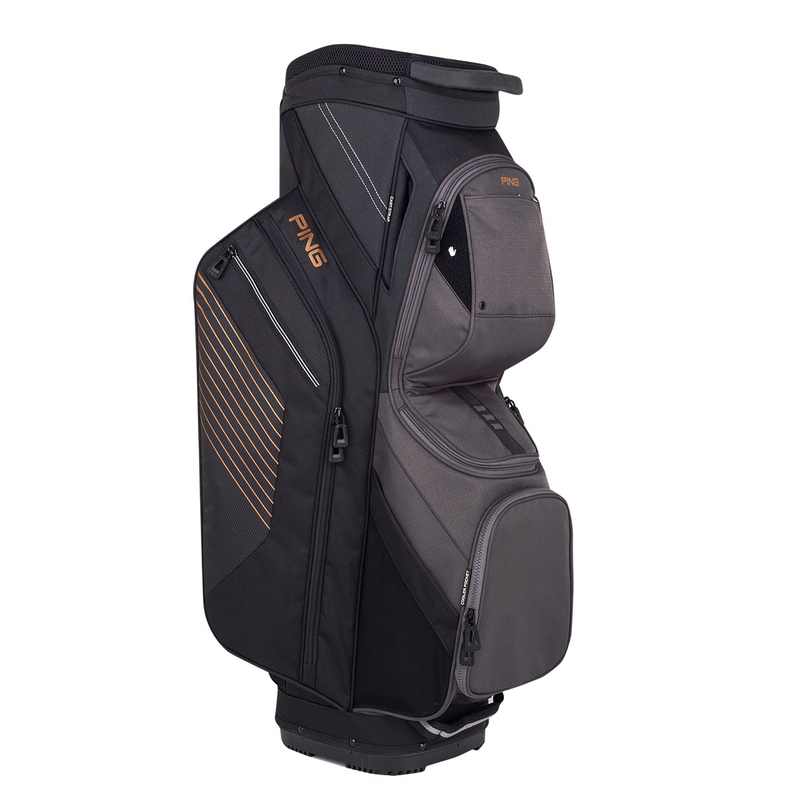 A high-impact 14-way top dividers with air-mesh padded dividers offer superb protection to your expensive golf equipment. 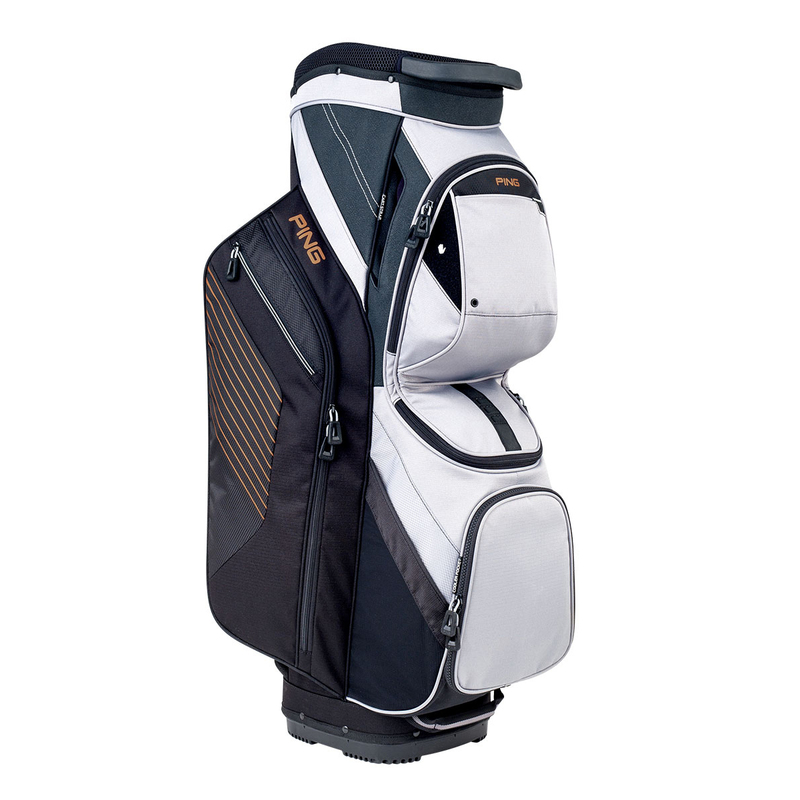 Ten pockets offer adequate storage which include an insulated drinks pocket, two large clothing pockets, and a velour-lined valuables pocket. 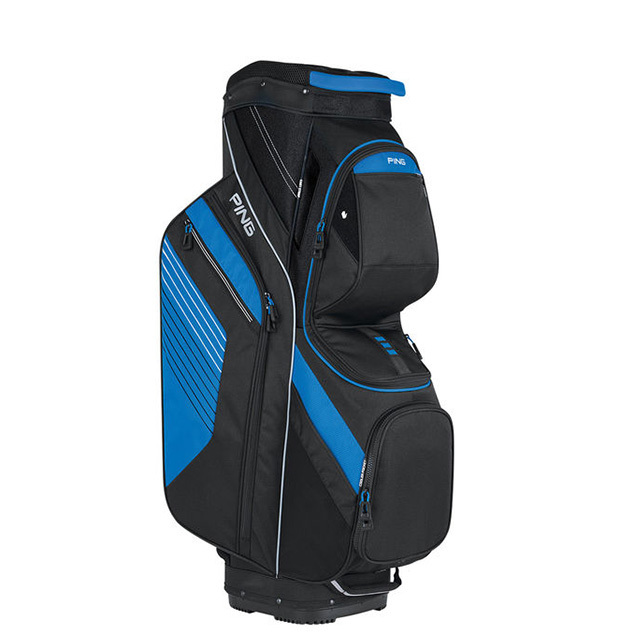 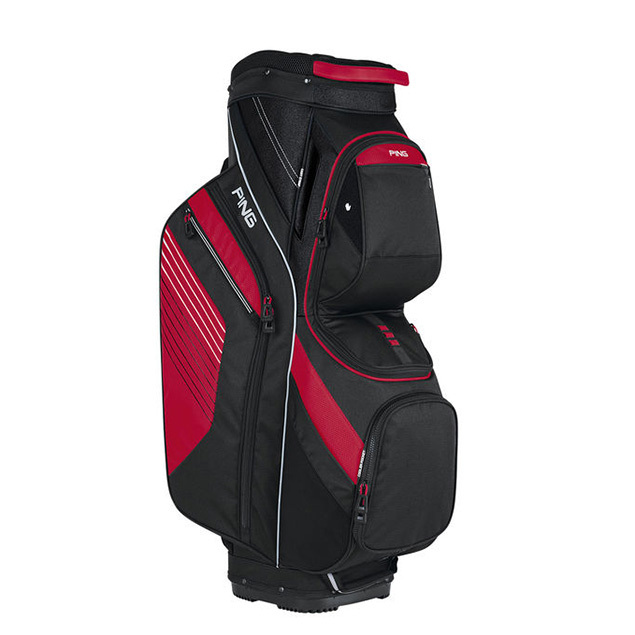 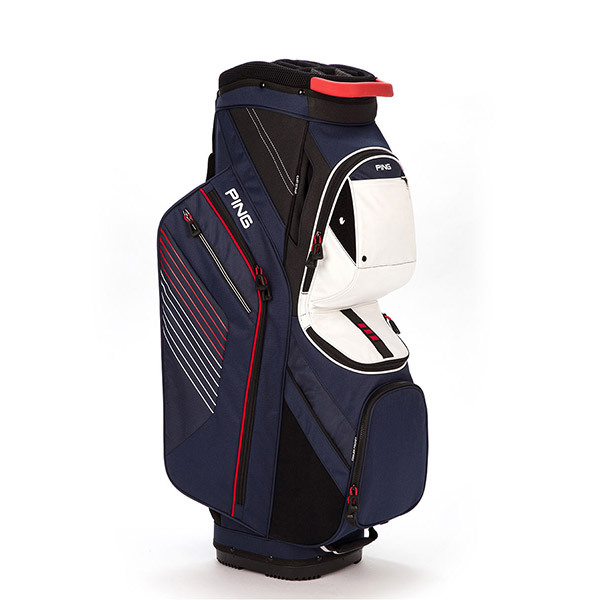 The bag also includes an built in soft-moulded, front-facing grab handle and trunk handle for easy lifting, plus has a secure trolley base and strap channel to secure this bag to you golf trolley.